Praveen Vemuri, MD is a board certified Neurologist fellowship-trained in Neurophysiology and Epilepsy. After receiving his Bachelor of Medicine, Bachelor of Surgery from Andhra Medical College in India, he completed his Neurology residency at Detroit Medical Center through Wayne State University. Following his residency, Dr. Vemuri completed a one-year fellowship in clinical Neurophysiology specializing in Epilepsy and EMG at the Medical University of South Carolina in Charleston. After his fellowship he joined his family in Myrtle Beach and the Conway Medical Center team.  He practices at CMC’s Conway Physicians Group Neurology office and is the only physician in the area providing specialized care for adults and children aged 12 and up suffering from advanced cases of epilepsy and seizures. Dr. Vemuri diagnoses epilepsy by building a comprehensive medical history of each patient utilizing neurologic examinations and testing. He consults with family members and friends to learn more about what the seizures looked like and what occurred immediately before and after the seizures. This information, along with the patient’s prior medical history and family history, is vital for an accurate diagnosis. Dr. Vemuri uses several types of tests, all available at CMC, to diagnose epilepsy. Usually, an electroencephalogram (EEG) is performed that records brain waves and can show certain characteristic changes in people with epileptic seizures. He may use imaging methods like computerized tomography (CT) or magnetic resonance imaging (MRI) scans to search for abnormalities like strokes, tumors, scars or other physical conditions in the brain that may be causing the seizures. He may also use specialized techniques like PET and SPECT imaging. Beyond epilepsy Dr. Vermuri also treats a host of other neurological disorders and conditions including stoke, Alzheimer’s disease, Dementia, Parkinson’s disease, brain injuries, altered mental status, Bell’s Palsy, vertigo and more.